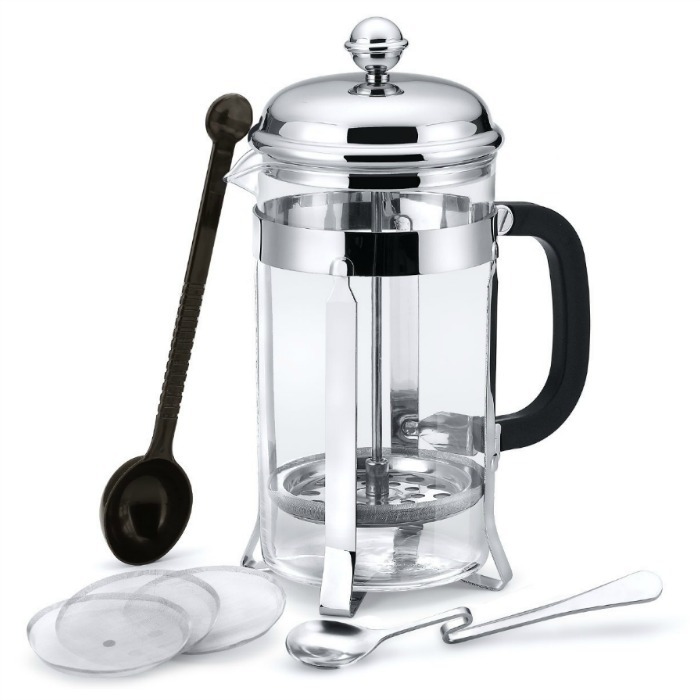 French Press Coffee Maker Just $9.99! Down From $27! You are here: Home / Great Deals / Amazon Deals / French Press Coffee Maker Just $9.99! Down From $27! Amazon has this French Press Coffee Maker for just $9.99 (Reg. $27) when you use promo code X9QN25ON at checkout! The French press features a premium chrome surface and heat-resistant borosilicate glass, it is durable and safe to handle when filled with hot coffee. The capacity is 34 oz, which is absolutely adequate when entertaining guests over holidays.